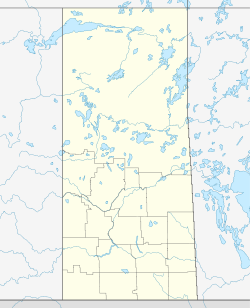 Carlyle (2016 population 1,503) is a town in Southern Saskatchewan, Canada. It was featured on Global Saskatoon's 'focus Saskatchewan' on January 12, 2014. Carlyle was incorporated as a village in 1902, and as a town in 1905. The CPR was constructed and in operation in 1900. The CNR laid steel into the townsite on October 28, 1909, and on July 7, 1910, the first passenger went through town. Early settlers to the district were mainly of British descent. The name Carlyle was chosen by the first postmaster to honour the niece of the Scottish historian and essayist, Thomas Carlyle: his niece and her husband settled in the Arcola district, and farmed and raised a family there. Trains were running through the town site in 1901 and the population increased from 23 that year to nearly 400 in 1906. In 1941, Carlyle still had around this number, but by 1956 the population had surged to 829. Subsequently, and unusually for a smaller community in Saskatchewan, Carlyle's population has slowly but steadily continued to climb. The town is 24 km south of Moose Mountain Provincial Park. The former Carlyle railway station now houses the Rusty Relics Museum. The Carlyle Airport is owned and operated by the town. The Bear Claw Casino & Hotel is located near Carlyle. The town holds the only Dickens Festival in Canada over the first weekend of December each year since 2002. The Cornerstone Theatre group runs at least two shows a year. The one on the first weekend in December is in co-ordination with the Dickens Village Festival. The theatre shows are sold out every year. ^ National Archives, Archivia Net. "Post Offices and Postmasters". Retrieved 2014-04-26. ^ Government of Saskatchewan, MRD Home. "Municipal Directory System". Archived from the original on 2016-01-15. Retrieved 2014-04-26. ^ Commissioner of Canada Elections, Chief Electoral Officer of Canada (2005). "Elections Canada On-line". Archived from the original on 2007-04-21. Retrieved April 26, 2014. ^ "Moose Mountain". gov.sk.ca. Retrieved January 25, 2017. ^ "2011 Community Profiles". 2011 Canadian Census. Statistics Canada. July 5, 2013. Retrieved 2012-05-29. ^ "2006 Community Profiles". 2006 Canadian Census. Statistics Canada. March 30, 2011. Retrieved 2011-03-04. ^ "Redirects - Tourism Saskatchewan". SaskTourism.com. Retrieved January 25, 2017. ^ "Cornerstone". CornerstoneTheatre.ca. Retrieved January 25, 2017. 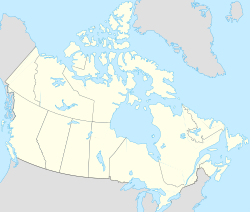 Wikimedia Commons has media related to Carlyle, Saskatchewan. This page was last edited on 12 July 2018, at 01:17 (UTC).